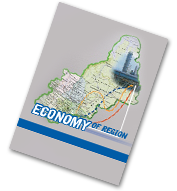 Considering that Small and Medium Enterprises (SMEs) play a significant role in the economy of country and taking into account the changes in the modern world economy, we investigated the problem of increasing the SMEs’ contribution into national economy by using new opportunities of business environment. The problem can be solved through the participation of SMEs in the links of the global value chain with high added value. However, it is necessary to find new instruments for SMEs’ support. The study is aimed at discovering relevant SMEs support tools focused on increasing the added value. The research is based on content and comparative analysis of the European Union and China experience using the material from the European Commission reports, national programs of European countries and China. The research terminology and analysis algorithm were refined. The set of new tools of SMEs support is presented in the context of groups and national characteristics. In European countries non-financial tools dominate among state support forms. They include creating special niches for small enterprises in the global value chain and giving SMEs access to the national supply base. In China non-state support forms dominate with a larger share of financial tools, including the provision of resources by participants of the value chains within regional integration associations, by financial units of large companies. The research results are addressed to the representatives of SMEs, large companies, public authorities.